The GSMA Mobile Money for the Unbanked unit has just released a new infographic on the history and metrics for Kenya’s mobile money giant Mpesa, from Safaricom. It’s an extensive and incredible chart. Download and save this one for later, it has all the information that you need. Also in 2013, the Kenya government levies a flat tax of 10% on all Mpesa transactions. Safaricom also raises charges to counter this. All users now pay more, but it’s hidden so that you don’t see the charge, unless you do the math on the balance remaining after you send funds. This is true… if you live in the US or Europe. 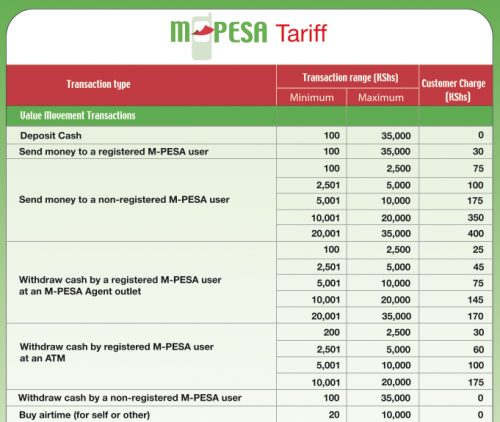 It’s also why Mpesa is so important, as it represents a new form as well as a new source. It’s a good thing that Mpesa happened in Africa. It offered a new way of thinking about money and payments, without the legacy baggage of banks and regulations meant for another century. The powerful banking interest were held at bay, not by great power, but by indifference – this is Africa afterall, who cares about this market? People can send and receive money. People can store up to $1000 in the system, creating a pseudo-savings account. There are no credit card companies involved. There are no banks involved. Mpesa is big now too, big enough to garner a lot of attention from the the credit card companies and banks. M-PESA has over 14 million users in Kenya, 9 million in Tanzania, and hundreds of thousands in Afghanistan and South Africa now too. It now processes more transactions domestically in Kenya than Western Union does globally, somewhere in the range of 25% of Kenya’s GDP is transacted on it. The banks actively lobby against mobile-based payment and money systems now, globally, as it constitutes a massive competitive threat that they are unable to compete with due to a multitude of reasons, one of which is simple transaction costs. The credit card companies are watching closely too, and moving. Mastercard and Visa both are working on mobile offerings, seeking to link with mobile operators in order to bypass a would be competitor. Mpesa isn’t perfect – we need a payment system that works across mobile operators and can be synced (easily) with any bank, if needed. While it could improve, it’s still worth pointing out the really big missed opportunity here is by Vodafone. Like I’ve said before, if Mpesa was rolled out at as an independent company led by Michael Joseph, it could battle the credit card companies of the world and unseat them in many markets. What’s interesting to me is that in the arguments in the US and Europe on “the future of payments” the real innovation, with real numbers, isn’t being mentioned. 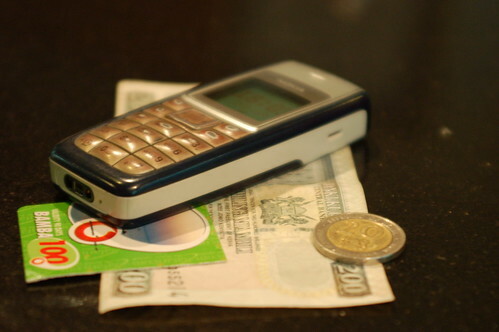 Kenya is by far the most exciting, innovative mobile money market on earth. Below is an overview of some of the major and upcoming players. 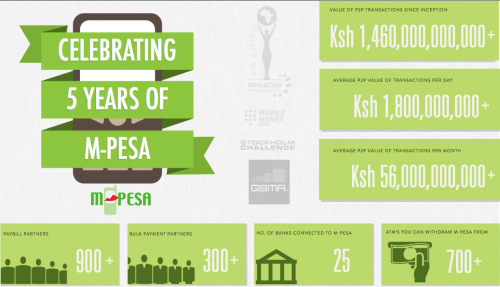 Launched in March 2007, Safaricom M-Pesa was the first mobile money system in Kenya. It is now the most successful mobile money deployment on earth, boasting use by 51% of the adult population. In addition to person-to-person transfers, you can use M-Pesa to remit funds from the UK to Kenya, pay bills, purchase goods, buy airtime, and, with the launch of M-Kesho, move funds to and from an interest-bearing account with Equity Bank. Fun fact: Safaricom M-Pesa has more agents in Kenya than Wells Fargo and Wachovia have ATMs in the United States. Formerly Zain Zap, Airtel Money is the second largest mobile money system in Kenya. Prior to its acquisition, Zain was focused on creating a â€œcashless societyâ€ whereby any number of needs could be met via mobile money. Zain was also committed to its notion of One World, the idea that a Zain customer in Country X should be able to call a Zain customer in Country Y a at local rate. One World was the source of much speculation with regard to international person-to-person mobile money transfer. It will be interesting to see if / how Airtel changes course, especially with regard to pricing. Orange Money launched in late 2010 in association with Equity Bank. Instead of offering the same features as M-Pesa, Zap, or yuCash, Orange opted to create a de facto front-end for Equity Bank accounts, allowing it to exceed regular transaction and m-wallet balance thresholds. Essar yuCash launched in December 2009 and is powered by Obopay. yuCash offers some standard features such as person-to-person transfer and balance inquiry as well as some unique features like requesting money, adding a short message to a payment, and inviting friends to join. yuCash is also unique insofar as it offers five different front-ends: WAP, SMS, Voice, USSD, and STK. Equity Bank is the largest microfinance institution in Kenya and is nothing short of a powerhouse. It has an extensive ATM network throughout Kenya and has integrated with M-Pesa (M-Kesho), Orange Money, and yuCash. Musoni is at the cutting edge of microfinance, enabling loan disbursal and repayment via Safaricom M-Pesa and Airtel Money. Musoni plans to conduct country studies in Rwanda, Tanzania, and Uganda in the coming years. Paynet is responsible for all Visa transactions in Kenya, interchange for 2,000+ ATMs, and PesaPoint. Due to their interaction with Visa, they are PCI DSS compliant, meaning that their system is both redundant and incredibly secure. Paynet aggregates and formats transaction data for several mobile money providers in East Africa. A product of Intrepid Data Systems, iPay enables merchants to accept online payment via Safaricom M-Pesa, Zain Zap, and Essar yuCash. 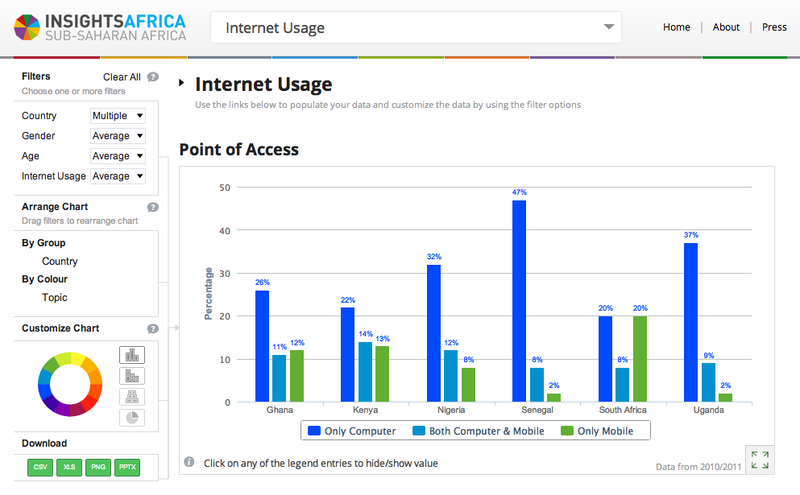 Prominent users include PewaHewa, Fenesi, and Zetu. PesaPal is a product of Verviant Consulting that, according to CEO Agosta Liko, aims to â€œmake sense of the Kenyan payment landscapeâ€. PesaPal lets online merchants collect payments via M-Pesa, Zap, Google Checkout, and a range of common credit cards. Their latest product, e-Ticketing, allows event organizers to accept online payments for registration via mobile money. A recent product of Zege Technolgies, M-Payer enables real-time mobile money transaction processing. The CEO of Zege Technologies, Kariuki, played an instrumental role in the M-Pesa / Equity Bank integration that resulted in M-Kesho. Powered by Cellulant, a company that serves 60M+ subscribers throughout Sub-Saharan Africa, Lipuka integrates bank and payment channels to enable music downloads, bill payments, and information services via WAP. Formerly called ZungukaPay, Moca is a product of Symbiotic Media Corsortium. ZungukaPay enabled online merchants to accept payments via M-Pesa, Zap, yuCash, PayPal, Google Checkout, and a range of common credit / debit cards. ZungukaPay also had an open API for integration purposes. The new product, Moca, takes a different turn by enabling customers to buy ‘Moca credits’ via mobile money, which they then use to pay for goods and services on partner websites (e.g. KeleleMobile). Fun fact: selling non-refundable credits precludes Moca from being seen as an e-money issuer by the Central Bank of Kenya. A product of Web Tribe Limited, JamboPay is an â€œOnline Checkout & Micro-Payment Serviceâ€ that enables merchants to accept online payments via M-Pesa, Zap, yuCash, and Visa credit/debit cards. JamboPay has a tariff structure similar to PayPal in the US: a commission per transaction + a flat fee for any transactions initiated over the JamboPay web platform. MobiKash, a third party mobile money provider, is operated by MobiCom Africa Limited in partnership with Sybase 365 and Seal Systems. MobiKash leverages USSD to give Kenyans on any mobile network real-time access to accounts at participating banks, including Post Bank, National Bank of Kenya, and Trans National Bank. MobiKash uses the Sybase 365 Mobiliser Platform. Formerly PesaPot Holdings Limited, KrossPAY worked with PAYG Solutions to develop a hosted core banking and financial management platform for microfinance institutions, credit unions, and community benefit organizations. Some PAYG Solutions programmers were involved with the creation of M-Pesa, so there may be a mobile money integration in the works. KrossPAY also offers a â€œuniversal mobile money transfer and paymentâ€ service called CaribPay. Jipange KuSave is an initiative of Mobile Ventures Kenya Ltd., a subsidiary of Signal Point Partners. Launched as a pilot in 2010 in partnership with FSD Kenya and CGAP, Jipange KuSave aims to extend affordable micro-savings and micro-credit to the ‘mwanachi’ (Kiswahili for ‘common man’) via mobile phones. Managed by Mobile Pay Limited and a network of independent trustees, Tangaza enables both local and international money transfer as well as services like utility bill payment and remote airtime purchase. Tangaza is accessible via USSD and the internet and works across multiple mobile networks. PewaHewa is similar to the iTunes Store insofar as you can browse for musical artists, albums, genres, etc. and purchase songs via mobile money. PewaHewa is powered by iPay. Often referred to as â€œthe Amazon.com of Africaâ€, Kalahari offers a wide range of online goods and services, which customers can pay for via Safaricom M-Pesa. Kilimo Salama, Kiswahili for “safe farming”, is a crop insurance product offered by the Sygenta Foundation for Sustainable Agriculture. Kilimo Salama enables farmers to pay crop insurance premiums and receive payouts via Safaricom M-Pesa. 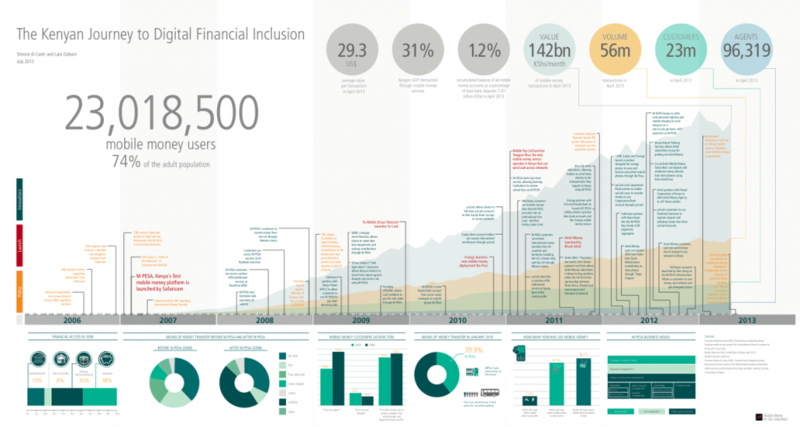 There’s an good post over at the CGAP blog about mobile money’s innovation crisis. The author claims that nothing new has happened in mobile money since Mpesa was launched in Kenya, except for maybe the launch of Mkesho this year in Kenya as well. Besides that, everyone around the world pretty much tries to duplicate what Safaricom is doing in this space. You can send up to $500 for as little as 37 cents using Mpesa. On Zain it will cost you 74 cents. That’s an insanely low transaction cost compared to what banks charge, and that’s not even going into the fact that they can’t do transactions as low as 50 to 100 Ksh ($.60 to $1.24). The kicker, you can store your money in it for no fee at all (unlike the usurious rates that the banks charge). Simply put, banks cannot compete with mobile operators when it comes to transacting payments for the majority of Africans. Regulators make and enforce the rules around everything. How do they make their decisions, who lobbies them and why? Is the reason that we haven’t seen a true replication of Mpesa anywhere besides Kenya due to the banking sector protecting its interest? Right now anyone in Kenya can do every type of transaction within our own borders, and if creative into neighboring countries as well. A few other countries have the ability to do this type of thing as well, if less efficient and/or elegantly conceived. Currently opportunity is lost by local merchants in not integrating mobile payment structures better into goods and services offered to both businesses and the public. This is changing, businessmen are quick to move to figure out new ways to increase margins and customers. It’s only held back by the operators not willingly opening up their platforms for easier integration into business. 11% of Kenya’s GDP was shifted through Mpesa in 2009, and the company expects that to be around 20% this year. Why has no one allowed it to truly replicate in another country? Why is no one throwing big money after this, trying to figure a way to scale a mobile operator and bank agnostic payment solution across a region, if not the whole continent? 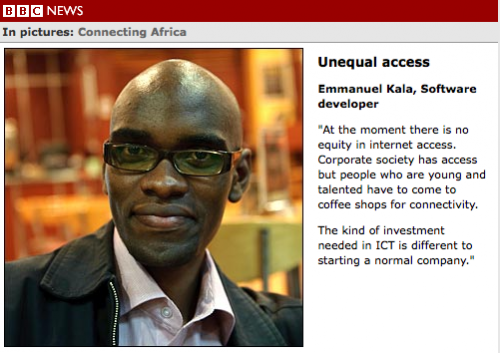 There are big players trying to break into the greater African market (I’m looking at you Naspers). There are banks who have the money to spend on figuring this out, but aren’t thinking beyond their own brand, so continue to fail. Maybe the answer is we just should sit here and let all this lost opportunity continue to drift by us, waiting on the big credit card players of the world like Visa or Mastercard to make a move. That’s a fatalistic stance, and I certainly hope it’s not true. Unfortunately, I don’t think we’ll see this service come from 2 guys coding in a garage. Instead, I hope that there are mobile operators and banks banding together to make something bigger than themselves that make more profits for everyone. If not them, a big investor willing to wager millions of dollars on making billions. 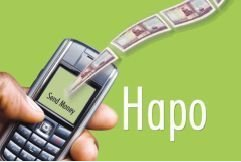 People are excited about M-Kesho (money for the future) which launched yesterday, where Safaricom has linked their mobile payments service Mpesa as a joint venture with Equity Bank in Kenya. This basically extends Mpesa into a bank and insurance company, with the future offer of microcredit as well. Equity bank has 80 branches in Kenya. Mpesa has 17,500 outlets in Kenya. See the pattern? These are are big companies with huge local connections and inroads into the popular culture. This is a strong indicator that every Kenyan will have access to banking and insurance via mobile phone very soon. As others have pointed out, there have already been links between mobile payment systems like Zain’s Zap and banks like Stanchart. So, this isn’t exactly groundbreaking and new. Why is it big then? It’s big because of who is doing it: the giants of the banking and mobile sector. Rombo has written a particularly good post about M-Kesho. She asks some hard questions, like who really benefits out of this deal: Equity or Safaricom? It’s hard to say, but I wonder if the pressure put on by regular banks onto the regulator about how close to a bank Safaricom’s Mpesa really has forced their hand. Did they have to choose a banking partner in order to stave off the regulator, or did they do it to increase market share and positioning? Finally, I think this move, like the moves made by Safaricom in the past on this mobile banking space are shortsighted. Yes, it gets them more subscribers and it does solidify their grip on the mobile market in Kenya, that is working. However, mobile money and payments are much bigger than just one operator or one bank. Becoming the “Visa of the mobile payments space” all over Africa (the world? ), is a much bigger deal than being the biggest fish in Kenya’s small payments pond. Growing the agent network is one of the most challenging parts of a mobile payment system. Jon Gosier talks about Uganda’s riots and what he’s learned in the process. Teddy Ruge writes a great essay on the web and Africa’s diaspora. The BBC Digital Planet team is in Kenya and doing a knock-up job of interviewing people about what’s going on around the tech space there. I’m thoroughly enjoying Dambisa Moyo’s “Dead Aid” book. Buy it, has great food for thought, and numbers to back it up. The New York Times article on big web content companies lack of profitability in places like Africa. We’re seeing a new trend of microblogging platforms emerge across Africa. Most recently in the Congo with Akouaba, but also in Nigeria with Naijapulse and South Africa’s Gatorpeeps. Matt Berg writes about the “Off-grid solar calculator” in North Africa. 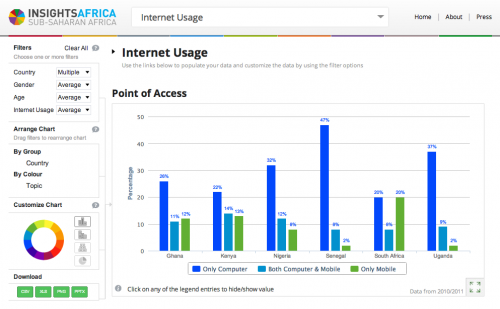 Mobility Nigeria points out that Nigeria displaces Germany in the Opera Mini top 10 list. 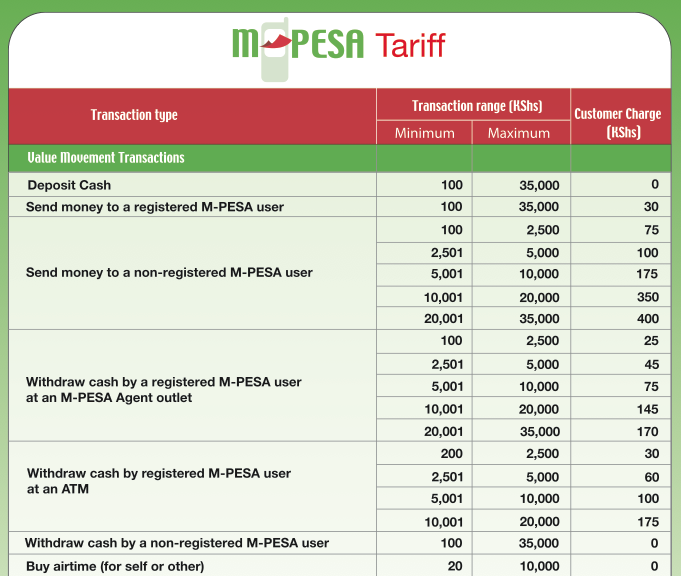 Bankelele breaks down some of mobile payment tool M-Pesa’s strengths and weaknesses in Kenya. We’ve announced Ushahidi’s Beta stage, and another round of funding. APC talks about the broadband rollout issues and a movement to change policy in South Africa. Recently, I’ve noticed a sudden buzz about ecommerce in Kenya. Brian Longwe talks about the beginnings of this with Mpesa, emails are bouncing around between companies I know, and last week I spent a morning listening in to what the Kenya ICT Board and Federation had to say about it. Let me start with the Kenya ICT Board. The meeting was basically about legislation and the fact that ecommerce would be good for Kenya. Of course it is, anything that lowers transaction costs for both buyers and sellers greases the wheels of commerce and increases the amount of trade across all industries and sectors. That’s a given. But how? See, that’s the big sticking point that I’ve been banging my head against the wall over for 2 years now. It’s not enough that you can buy and sell with a Visa or Mastercard in Kenya. As long as you continue to ignore the wananchi (average person), then you’ll only help the wealthy and not see the real gains and advantages of a level playing field. Which brings me to Brian talking about Mpesa, the mobile phone payment system in Kenya. For, in Mpesa, we have the beginnings of a payment system that can be used by everyone. He’s right about that. What’s wrong is that it’s mobile phone carrier dependent (Safaricom). What we need is a carrier and bank agnostic ecommerce platform for Africa. Why? Let’s go back to our “average person” again and talk about banks. They are generally unbanked (thus the use of Mpesa), or if they are, they have only a couple thousand shillings (less than $100) in the bank. The transaction costs for them having to keep their money in these aging institutions is often impractical. They have no, or very limited, opportunities to borrow money and they have no realistic way of getting any type of credit. So, as can be seen, tying money, credit and debt to banks is not practical. Now, let’s talk about why it needs to be carrier agnostic. This is even easier to understand. In Kenya there are two carriers; Safaricom (Mpesa) and Celtel (me2u). By the end of the year, there will be four. The barriers to use of a system that relies on one carrier is as ridiculous as requiring any payment system on the web to only go through one ISP. Sure, it makes sense if you’re that company to control that monopoly, but it’s bad for everyone else. What does this mean then? Where do we go from here? The upsides of a carrier and bank agnostic payment system is high. Not only would a system like this be used for the obvious domestic transactions (Kenya-to-Kenya) and external transactions (Kenya-to-world), but all of the sudden we have the ability to create real micro-loans and a new system to create credit scores for unbanked people over time. That’s wealth building, and it would transform Kenya. Well, first off, let those who have the funds to do so, start building the right type of payment gateway. Start in Kenya and grow regionally, then continent-wide. It’s a semi-heavy investment (relative to who you are of course), but the return is absolutely insane. In fact, it’s ridiculous that after this long no one has done anything beyond build monopolies in this space.